Divorce settlements in Arizona are not always permanent. This is especially true when it comes to issues related to children. Children grow and change; a custody and visitation order that may have worked at one time may no longer be in the child’s best interests and may require modification. In addition, one parent might disregard the stipulations of a child custody and visitation order, requiring the other parent to take steps to enforce the provisions of the agreement. At our Scottsdale, Arizona law firm, the Law Office of Karen A. Schoenau, family law attorney Karen Schoenau develops solutions to problems arising from complicated family law matters, such as changing or enforcing child custody and visitation orders. Attorney Schoenau uses her more than three decades of experience to protect children and also to advocate for the needs of the client after their divorce is final. Clients depend on her to advise them about their rights and legal options while seeking the solution that works best for both child and parent. Changes in the needs of the child. Domestic violence or child abuse. Changes in work or school schedules. One parent refusing to grant access/visitation ordered by the court. Issues such as these are frequently behind a request to modify or enforce a custody and visitation court order. However, parents should know that courts are unlikely to grant requests for changes unless the situation is clearly an emergency or unless at least one year has passed since any previous court-ordered modification. 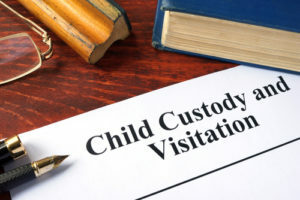 Essentially, Arizona family court judges want to see evidence of a significant reason for requesting a change in a child custody or visitation order. If you want to change or enforce a custody or visitation order, or if you hope to oppose the efforts of the other parent to modify or enforce visitation or child custody, contact our Scottsdale modification and enforcement attorney today for advice about your rights and legal options. Call attorney Karen Schoenau at 480-725-1438 or toll free at 888-304-0928. You can also contact us online.